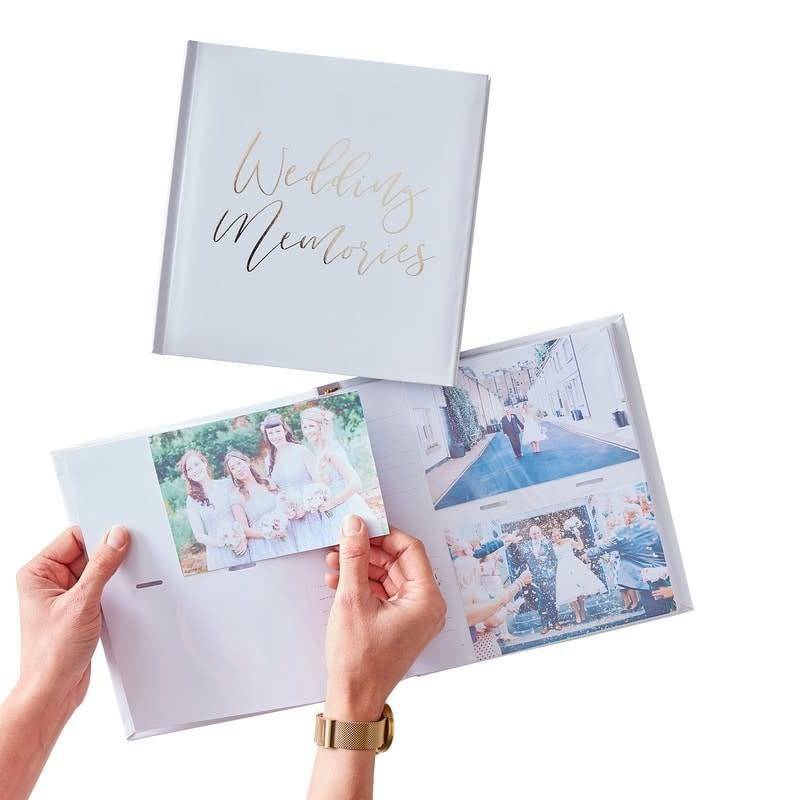 > Capture memories with this white & gold Wedding Guest Book	> Each guest book has 32 blank pages. 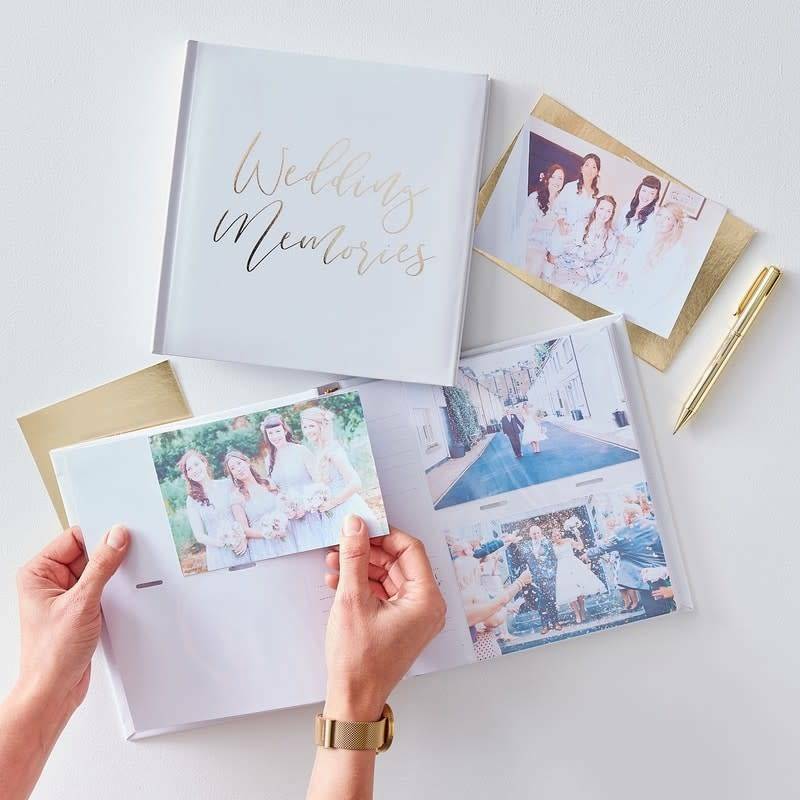 Our gold wedding range Guest Book is there perfect way to re-live memory's from your special day. The elegant gold foil scripted writing will shimmer around your venue - a classic colour scheme that will look stylish on the day. You will love looking back at all the lovely messages from such a special day. The white hard back guestbook with gold foil writing can be placed on its own table with our 'Gold Love Confetti' to create a stunning display that your guests will love. Each pack contains one guest book measuring 20.5cm (H), 21.5cm (W) and 1.2cm (D). The guest book has 32 blank pages.